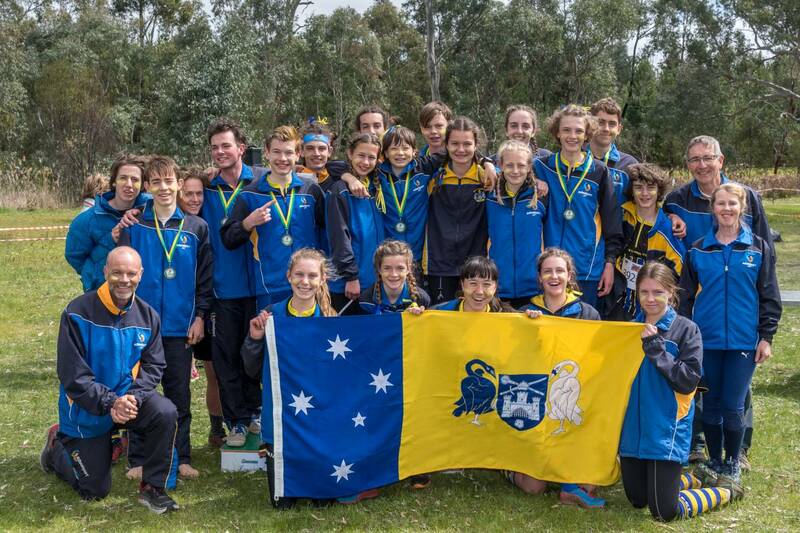 After three days of tight competition in South Australia, the ACT team has successfully defended its Australian Schools Orienteering Champion team title to repeat its achievement in 1991-93 of winning three successive Championships. The Championships are conducted in four divisions, Senior and Junior Boys and Senior and Junior Girls in three events, Sprint Distance, Long Distance and Relays. The ACT shared the honours with NSW in the Sprint Distance Championships on Tuesday and remained in contention after the Long Distance Championships on Wednesday. The ACT lifted on the final day to dominate the Relays, winning three of the four divisions and surprisingly being relegated to second in the Senior Girls division. The continuing achievements of the ACT teams highlights the success of the schools and junior development programs pursued by Orienteering ACT. Two people, Toni Brown and Paul de Jongh, contributed greatly to the development of the team; Toni through her work with the schools generally and the ‘Focus on Girls’ program and Paul as the regular coach of around half the team. Links to the Results are at the Sprint Distance Championships, at the Long Distance Championships, and at the Relay Championships; the Splits are at Sprint Distance Championships and at Long Distance Championships, and the Photos for each are at Sprint Distance Championships, at the Long Distance Championships, and at the Relay Championships. The 2019 Australian Schools Championships will be held in and near Wagga Wagga during the 2019 Oceania Championships. Thank you to David Poland for providing the data for this story and to Tom de Jongh for the featured image; both at short notice.